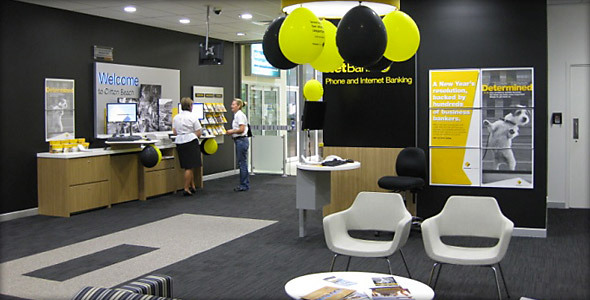 The modern fitouts of 70 CBA retail banking outlets offer versatile spaces, including ATM rooms, communications racks, meeting rooms, sales offices, tellers, kitchens and toilets. BSE delivered a comprehensive service to CBA, starting with design and site audits and site selection assistance, through to providing all mechanical, electrical, communications and data, fire, hydraulic and audio-visual services for all 70 sites. The retail banking outlets are meeting the needs of CBA’s customers and staff and providing them with the optimal space in which to interact and make transactions.